If you’re enrolled in a high-technology program and can certify that you intend to seek employment in a high-tech industry as defined by VA, you may be eligible for an accelerated payment. These payments are paid instead of GI Bill benefits that you would otherwise receive. This assistance could cover high-tech programs in the animal sciences, food and technology, communications, and more. See the full list of approved programs below. Veterans qualifying for an accelerated payment receive a lump-sum payment of 60% of tuition and fees for certain high-cost, high-tech programs. In addition to Veterans, Public Law 110-181 authorized an accelerated payment option for Reserve GI Bill and REAP recipients. Payments are for Reservists pursuing a non-degree program of education lasting two years or less. In addition, tuition and fees must exceed 200% of the monthly amount of educational assistance that you would otherwise be eligible to receive during the certified period of enrollment. 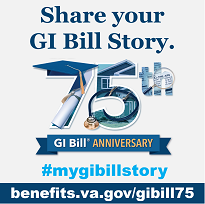 Note that this benefit is not available under the Post-9/11 GI Bill, Dependents Education Assistance program, or VEAP. The asterisk (*) means that all programs are considered high-technology programs within that discipline. 11.0899 Computer Software and Media Applications, Other. Instructional program that prepare individuals to apply mathematical and scientific principles to the solution of practical problems. Instructional programs that prepare individuals to apply basic engineering principles and technical skills in support of engineering and related projects. Instructional programs that focus on the biological sciences and the non-clinical biomedical sciences, and that prepare individuals for research and professional careers as biologist and biomedical scientist. Instructional programs that focus on the systematic study of logical symbolic language and its applications. A program that prepares individuals to undertake advanced and specialized leadership and technical responsibilities for the armed services and related national security organizations. Includes instruction in such areas as weapons systems and technology, communications, intelligence, management, logistics and strategy. Instructional programs that focus on the scientific study of inanimate objects, processes of matter and energy, and associated phenomena. Instructional programs that prepare individuals to apply scientific principles and technical skills in support of scientific research and development.